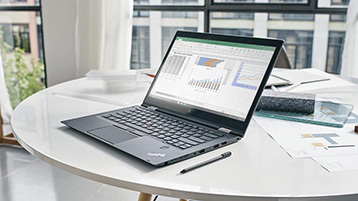 If you're upgrading to Excel 2019 for Windows from an earlier Excel version, you'll still have all the features you're used to—and you'll notice a few new ones as well! This function returns the largest number in a range, that meets a single or multiple criteria. Learn more about MAXIFS. This function is similar to MAXIFS, but it returns the smallest number in a range, that meets a single or multiple criteria. Learn more about MINIFS. Download a template and give it a try! 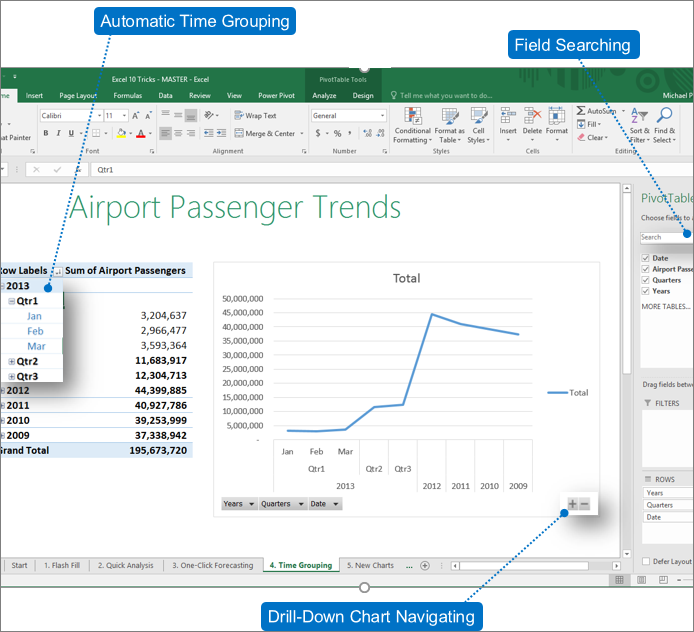 We introduced Inking features in Office 2016, but we're constantly improving, and adding features. Including math equations has gotten much easier. Now, you can go to Insert > Equation > Ink Equation, any time you want to include a complex math equation in your workbook. 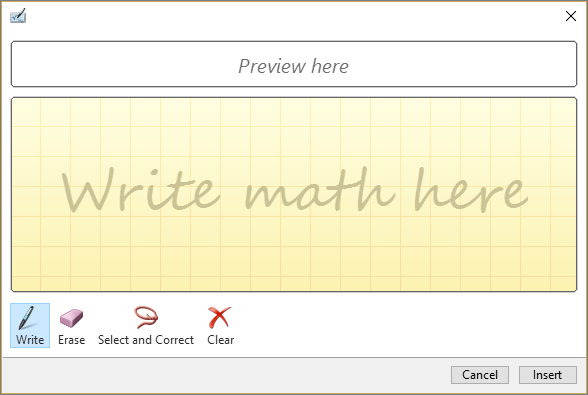 If you have a touch device, you can use your finger or a touch stylus to write math equations by hand, and Excel will convert it to text. (If you don't have a touch device, you can use a mouse to write, too). You can also erase, select, and correct what you've written as you go. Using ink in your spreadsheets? Now you can replay or rewind your ink to better understand the flow of it. Or your peers can replay it to get step-by-step instructions. You'll find Ink Replay on the Draw tab. Give it a try! 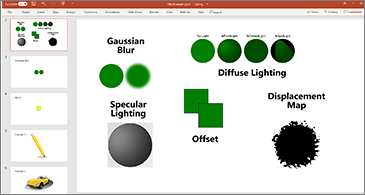 Excel now has Lasso Select , a free-form tool for selecting ink. Drag with the tool to select a particular area of an ink drawing, and then you can manipulate that object as you wish. For more information, see Draw and write with ink in Office. The Draw tab lets you select inking styles and start making ink annotations on your touch-enabled device. However, you can also convert those ink annotations to shapes. Just select them, and then select Convert to Shapes. That way, you get the freedom of freeform drawing with the uniformity and standardization of Office graphic shapes. To learn more about inking in Office, see Draw and write with ink in Office. In Excel, with a Surface pen, you can select an area without even tapping the selection tool on the ribbon. Just press the barrel button on the pen and draw with the pen to make a selection. 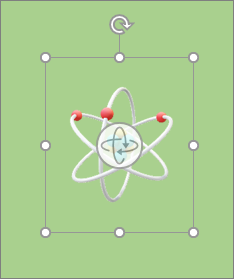 Then you can use the pen to move, resize, or rotate the ink object. For more information, see Draw and write with ink in Office. Turn on audio cues to guide you as you work. Easily attach hyperlinks to recent cloud-based files or websites, and create meaningful display names for people using screen readers. To add a link to a recently used file, on the Insert tab, choose Link and select any file from the displayed list. Quickly view who has made changes in workbooks that are shared, and easily restore earlier versions. For more information, see View historical versions of Office files. This feature was highly requested by our customers: Go to File > Save As > Recent, and you’ll see a list of recently accessed folders that you can save to. Excel autocomplete isn't as picky as it was before. For example, let's say you want to use the NETWORKDAYS function, but you can't remember how it is spelled. If you just type =DAYS, the autocomplete menu will bring back all of the functions that contain "DAYS," including, NETWORKDAYS. Before, you had to spell the function name exactly. There are now three Office Themes that you can apply: Colorful, Dark Gray, and White. To access these themes, go to File >Options > General, and then click the drop-down menu next to Office Theme. The highest-contrast Office theme yet has arrived. To change your Office theme, go to File > Account, and then click the drop-down menu next to Office Theme. The theme you choose will be applied across all your Office apps. To learn more about Office themes, see Change the look and feel of Office for Windows with Office themes. Remember this warning? "This file may contain features that are not compatible with CSV..." Well, you asked for it! We will no longer show this when saving a CSV file. You asked for it on our Excel User Voice forum: You can now open and save CSV files that use UTF-8 character encoding. Go to File > Save As > Browse. Then click the Save as type menu, and you'll find the new option for CSV UTF-8 (Comma delimited). CSV UTF-8 is a commonly used file format that supports more characters than Excel’s existing CSV option (ANSI). What does this mean? Better support for working with non-English data, and ease of moving data to other applications. 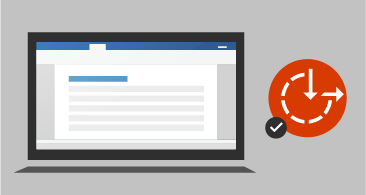 Data Loss Protection (DLP) is a high-value enterprise feature that is well loved in Outlook. We are introducing DLP in Excel to enable real time scan of content based on a set of predefined policies for the most common sensitive data types (e.g., credit card number, social security number, and US bank account number). This capability will also enable the synchronization of DLP policies from Office 365 in Excel, Word, and PowerPoint, and provide organizations with unified policies across content stored in Exchange, SharePoint and OneDrive for Business. Excel is known for its flexible and powerful analysis experiences, through the familiar PivotTable authoring environment. With Excel 2010 and Excel 2013, this experience was significantly enhanced with the introduction of Power Pivot and the Data Model, bringing the ability to easily build sophisticated models across your data, augment them with measures and KPIs, and then calculate over millions of rows with high speed. Here are some of the enhancements we made, so that you can focus less on managing your data and more on uncovering the insights that matter. Set up a PivotTable the way you like. Choose how you want to display subtotals, grand totals, and the report layout, then save it as your default. The next time you create a PivotTable, you will start with that layout. 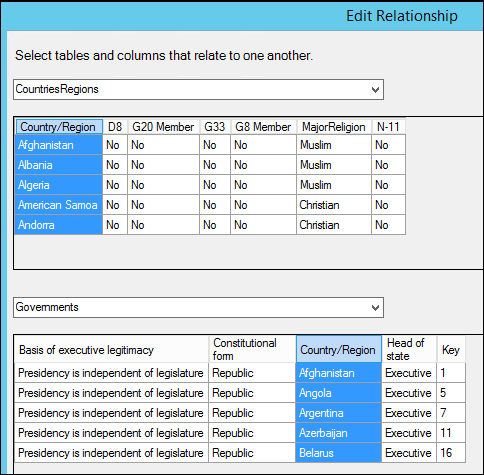 Discovers and creates relationships among the tables used for your workbook’s data model, so you don’t have to. Excel knows when your analysis requires two or more tables to be linked together, and notifies you. With one click, it does the work to build the relationships, so you can take advantage of them immediately. Can now be done directly from the PivotTable fields list, saving you a lot of time when you need to add additional calculations for your analysis. Helps you to use time-related fields (year, quarter, month) in your PivotTable more powerfully, by auto-detecting, and grouping them on your behalf. Once grouped together, simply drag the group to your PivotTable in one action, and immediately begin your analysis across the different levels of time with drill-down capabilities. Allow you to zoom in and out across groupings of time, and other hierarchical structures within your data. Field list helps you get to the fields that are important to you across your entire data set. Gives you the ability to rename tables and columns in your workbook’s data model. With each change, Excel automatically updates any related tables, and calculations across your workbook, including all worksheets and DAX formulas. Have also been made. For example, delayed updating allows you to perform multiple changes in Power Pivot without the need to wait until each is propagated across the workbook. The changes will be propagated at one time, once the Power Pivot window is closed. You can select multiple items in an Excel Slicer on a touch device. This is a change from prior versions of Excel, where only one item in a Slicer could be selected at a time using touch input. You can enter Slicer multi-select mode by using the new button located in the Slicer’s label. Improved query efficiency: Excel will now query for Subtotals and Grand Totals only if they’re required to render the PivotTable results. This means you wait less for the OLAP server to finish processing the query, and you wait less while waiting for the results to transfer over your network connection. You simply disable Subtotals and Grand Totals from the PivotTable Design tab just like you would normally. See: Show or hide subtotals and totals in a PivotTable. 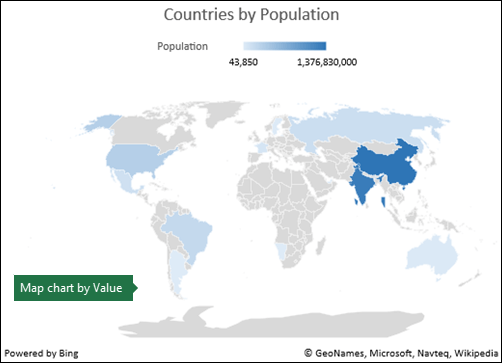 Reduced the number of queries: Excel is smarter when refreshing your data. Queries will now only refresh when they’ve actually changed and need to be refreshed. Save the data model diagram view as a high resolution image file that can then be used for sharing, printing or analyzing the data model. To create the image file, in the Power Pivot pane, click File > Save View as Picture. Power Pivot users can manually add or edit a table relationship while exploring a sample of the data—up to five rows of data in a selected table. This helps create faster and more accurate relationships, without the need to go back and forth to the data view every time you wish to create, or edit a table relationship. In the Edit Relationship dialog, type the first letter of a table name to move the first column name starting with the selected letter. In the Edit Relationship dialog, type the first letter of a column name to move the first column starting with the selected letter. Retype the same letter moves to the next column starting with the selected letter. After selecting the first table and column, on the selection of the second table, if a column with the same name exists, it is auto-selected (works both ways). 1) The Power Pivot data model is no longer lost when working with hidden workbooks; 2) You can now upgrade an earlier workbook with a data model to Excel 2016 and later; and 3) You can add a calculated column in Power Pivot, unless it contains a formula. 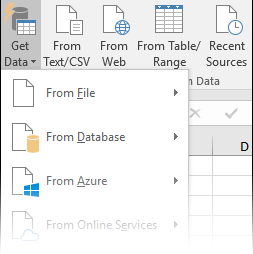 If you have a Power BI subscription, you can now publish files that are stored locally to Power BI. To get started, first save your file to your computer. Then click File > Publish > Publish to Power BI. After you upload, you can click the Go To Power BI button to see the file in your web browser. This section contains improvements made to Get & Transform (also known as Power Query). 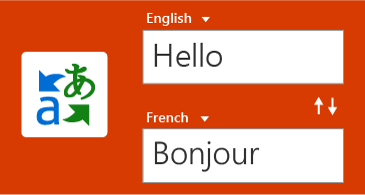 We have new connectors in Excel 2019. For example, there's the new SAP HANA connector. We also have improved many of our existing connectors so that you can import data from a variety of sources with efficiency and ease. For more information on our connectors, see Import data from external data sources. 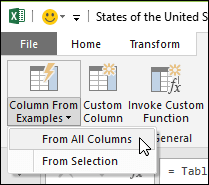 In Excel 2019 we have significantly improved many of the data transformation features in the Power Query Editor. For example: Splitting columns, inserting custom columns, and adding columns from an example are improved. Plus, merge and append operations, and filtering transforms are enhanced as well. 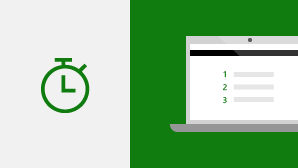 Excel 2019 also has some general improvements across the Get & Transform area in Excel 2019. One notable improvement is the new Queries & Connections side pane, which lets you manage queries and connections easily . 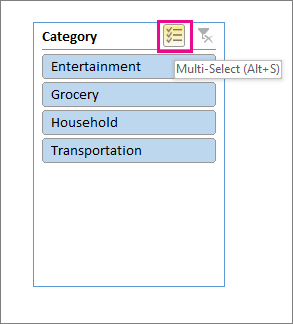 There are also many improvements to the Power Query Editor as well, including “select-as-you-type” drop-down menus, date picker support for date filters and conditional columns, the ability to reorder query steps via drag-and-drop, and the ability to keep the layout in Excel when refreshing. For general information about how to get started with Get & Transform, see the article, Unified Get & Transform experience. For more information on updates to Get & Transform, check out the Excel Blog.